Everyone is talking about “Green” and how to get there. At Global Lyte we not only work together to achieve Leadership in Energy and Environmental Design standards but, we also go above and beyond those measures. Many companies want to become green or are hooked on getting that platinum Leed certification. The next big question is can you afford to get there? Green is really about responsible actions to reducing building impacts on human health and the environment during its lifecycle. This is where Global Lyte Excels. We work together to help you understand your needs and what goals you are looking to achieve. We don’t just provide lighting. We work together with environmental services to provide recycling programs for items such as Fluorescent lamps, High intensity discharge lamps (HID), Neon Lamps, shatterproof lamps, and other specialty lamps as well as PCB ballasts and Non-PCB ballasts. Lighting suppliers as well as all industry groups should be as responsible as anyone else. If you don’t recycle, don’t supply. Eco and Sustainable Environments Free To Go Green! Most people spend the majority to their days in a commercial facility. Weather it be an office building, hotel, mall, grocery store, or anything in-between. So it only makes sense for responsible developers to engage in eco friendly programs. These products and services pay for themselves. 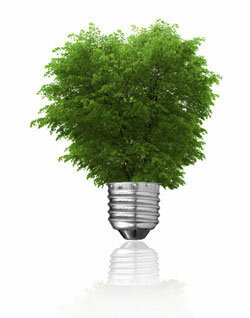 Not only in the supply of product and services but, in the energy savings that they provide and accumulate over time. Basically, Free to go green! Ask us about our Leasing option. You can purchase products for your next project on our capital Lease or our Fair Market Lease. Start reaping the benefits today of new products or of the energy savings. You can do this while writing them off as business expenses or paying with the savings you get by becoming energy efficient. 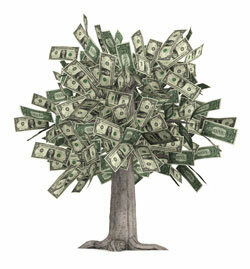 Click on the money tree to see an example.